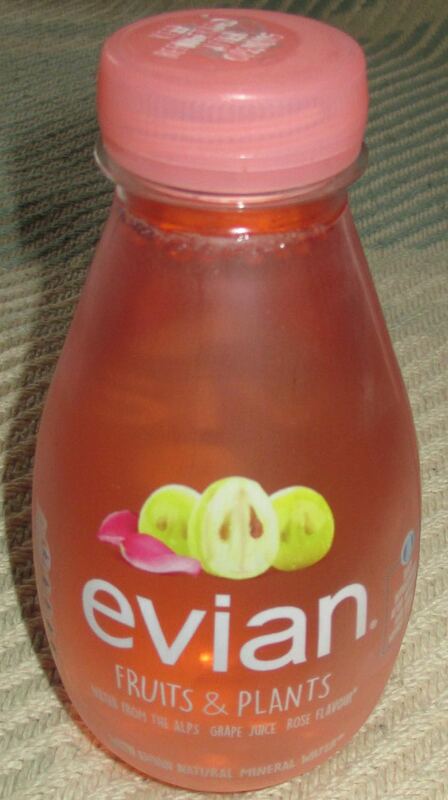 Looking around the foodie section in Boots I spotted this new drink from Evian. It came in a cute almost tear drop shaped bottle, with a pink liquid inside. The flavour sounded quite posh, with it being a mix of Grape Juice and Rose. As this drink is made by a company that makes mineral water I thought it might be in the realms of the “water with a hint of” style drinks. I wasn’t wrong, the flavour from the drink was very mild. It isn’t a sweet drink, but it does have a very delicate flavour. There is gentle hint of rose, but it is a very mild floral background taste, and a slight hint of grape sourness. It is easy to drink, because the flavour is so light. I can imagine that even if you weren't a fan of rose this would be okay for you, as there isn’t a strong Turkish Delight flavour, just a subtle easy going taste. All in all this drink was very refreshing on a warm day, and hit the spot well. I’d pick it up again quite happily. The only negative thing I have about it is the serving size and calorie content. It just seemed a bit confusing. Sorry it isn’t the best quality picture, it was white writing on a clear bottle, but you can see the issue below. If you are a packaging designer and you find yourself writing on a small bottle “1.5 serving of 250ml” just stop. It's a small bottle, it's going to drunk in one, not in 1.5 portions, stop being so confusing. I found ti very hard to work out how many calories are in the bottle.